Do You Really Need A New Printer? Printers, as useful as they are in a home or office setting, are the source of much anger and frustration; unclear error messages, paper jams and even just not working for some unspecified reason. If you own a printer and you’ve never said a cross word about it, consider yourself lucky. A recent survey by PCWorld found that 66.2% of respondents were satisfied with their printer, which sounds like quite a good figure considering the amount of negative exposure printers receive. However, that figure has dropped from 70% in 2009. When looked at from a different angle, the figures also suggest that 33.8% of respondents weren’t satisfied with their machine. Which is a shame, because quite a lot of the printing issues that cause us grief are easily remedied without needing to call the occasionally frustrating customer service centres of printer manufacturers. Here are a few of the most common printer issues and some quick, pain-free solutions that should leave you feeling a bit more satisfied with your printer! Possibly THE major gripe with printers is how expensive they are to run; tempted in by the low, low cost of a printer, people often find themselves facing monumental bills for office supplies and printer cartridges a few months down the line. A good way to cut your printing costs is start recycling old ink and toner cartridges and buy compatible ink cartridges when your old cartridge finally wears out. You’ll save a lot of money and you’ll help save the environment too – a pretty good bargain if you ask us! Okay, so there’s some good news and some bad news. The bad news? Paper jams are an unfortunate reality of owning a printer. Sorry. Check your printer’s paper tray isn’t overloaded. Don’t use two types of paper at the same time. Use print settings to tell your printer exactly what type of paper you’re using. Check your printer for scraps of paper or even foreign objects in your printer’s rollers. Unfortunately, printers aren’t machines capable of human thought or emotion; they don’t care that you have a deadline to meet in five minutes and need to print out 102 pages, they just do their job at their own pace. Which can be very frustrating of them indeed. Luckily, there is a way of speeding up your printer without forking out for an expensive new model – provided you don’t mind compromising on quality a wee bit. By switching your printer to draft mode, you can produce prints of a lower quality but at a much faster rate! You can also save yourself a bit of time by making sure your document is properly setup for print before you start printing. That way, you can avoid time-consuming misprints! It’s always worth giving the manufacturer a call if your problems are a bit more technical than the ones listed in this post. 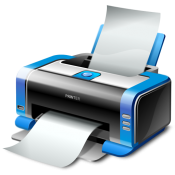 Nevertheless, with these quick fixes, you should find that you and your printer have a much more satisfying and productive relationship and you won’t need to fork out for a pricey new printer! This guest post has been written by Chris Smith, a writer with a keen interest in money saving, on behalf of Cartridge World, who specialise in recycling and refilling toner and ink cartridges.